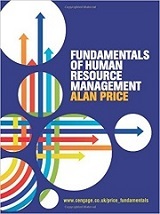 Fundamentals of Human Resource Management provides a succinct yet comprehensive overview of the key issues shaping HRM today. The book explores the complex relationships between HRM and a range of organizational functions and encompasses the business, public and voluntary sectors. Using a wealth of real world examples, the text analyses HRM from a number of illuminating practical and theoretical perspectives. 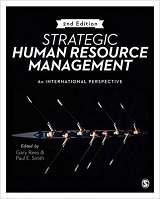 This highly engaging, bestselling textbook, now in its eighth edition offers a comprehensive examination of contemporary human resource management issues and debates. Aimed at undergraduate, postgraduate and MBA students, this title provides an authoritative source for students of CIPD Advanced qualifications. Attracting, hiring, developing and retaining the right people is crucial to an organization's success. The stakes have never been higher: a 2015 study by CAP suggests that the average cost of employee attrition is 20% of a mid-level employee's annual salary and up to 213% of a high-level executive's salary. 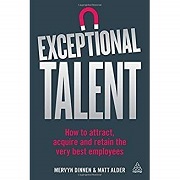 In a business environment changing so rapidly that jobs which will be essential in 2020 don't even exist yet, Exceptional Talent examines how changes in technology, communication, and employee preferences are impacting the talent journey. 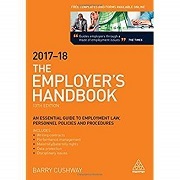 The Employer's Handbook 2017-18 has established itself as a source of reliable, unambiguous guidance for all small- to medium-sized employers in the UK, clearly identifying the legal essentials and best-practice guidelines for effective people management. It is a comprehensive source of hands-on advice on the increasingly complex legal framework now governing UK employment law, including guidelines on age discrimination legislation and the latest employment tribunal procedures. This book examines the progress made in e-enabling the HR function and the relationship with outsourcing. The editors will review and analyse recent developments in the application of outsourcing and ICT to the HR function and its overall contribution to organizational aims. 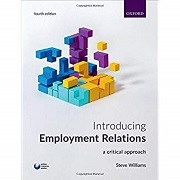 Introducing Employment Relations draws on the most up-to-date research and many contemporary examples to encourage students to think critically about the significant issues surrounding employment relations from a variety of perspectives. Integrated learning features, factual examples, and real-life case studies prompt students to reflect on how employment relations are regulated, experienced, and contested, by organizations and employees, collectively or individually. End-of-chapter assignment and discussion questions then develop reflective learning and promote lively debate. 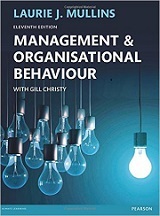 Now in its 11th edition Laurie Mullins's Management & Organisational Behaviour is the essential guide to OB for students today. Over half a million students have used this engaging and practically focused book as their introduction to the world of management and organisational behaviour, and it continues to evolve and improve to serve the needs of modern students. 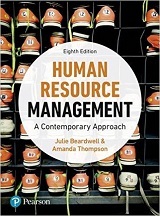 Human Resource Management is the leading textbook for the CIPD People Management and Development module. 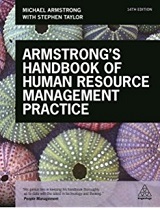 Written by the CIPD's chief examiner, it is closely aligned to the CIPD standards and is the ideal text for anyone seeking a critical look at Human Resource Management (HRM) theory and practice. 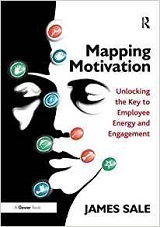 Engaged employees are more productive, motivated and resilient, yet gaining financial support to develop engagement is harder than ever as budgets are being squeezed and everyone is being asked to do more with less. 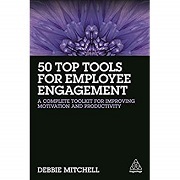 50 Top Tools for Employee Engagement shows that you don't need expensive interventions or additional resource to achieve employee engagement. It contains practical tools which can be used to make an immediate difference. Previously restricted to cascading information and managing day-to-day conversations, internal communication is now essential to empowering employees to deliver business strategy. 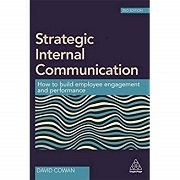 Strategic Internal Communication shows how to design and implement a strategy which will lead to engaged and motivated staff, increased productivity and consequently improved business performance. Blackstone's Employment Law Practice 2017 is the only text to provide everything you need for bringing, defending, and appealing employment cases in one single, portable volume, providing an unbeatable combination of clear commentary and key legislation. 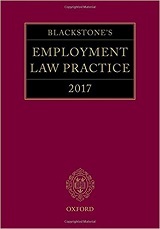 Drawing together comprehensive coverage of practice and procedure in the Employment Tribunals, Employment Appeal Tribunal, and Central Arbitration Committee, Blackstone's Employment Law Practice 2017 is an essential purchase for all employment practitioners. 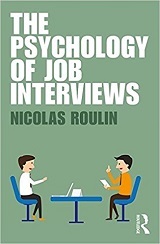 Based on empirical research rather than second hand advice, it discusses the strategies and tactics that both applicants and interviewers can use to make their interviews more successful; from how to make a good first impression to how to decide which candidate is the best fit for the role. Illustrated with examples throughout, the book guides job applicants on how best to prepare for and perform in an interview, and provides managers with best-practice advice in selecting the right candidate. 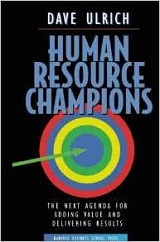 In his classic book, David Ulrich says that HR holds the key to an organization's future success. HR people serve as strategic players, administrative experts, employee champions and change agents. Full of illustrations and examples from dozens of companies, this book show how HR professionals can operate in all four areas simultaneously. A research-focused introductory text written by a stellar contributor line-up including Linda Holbeche, Stephen Taylor and Jim Stewart. The Second Edition integrates an international perspective using examples and case studies from a broad range of regions and industries including Microsoft, Volkswagen and Rolls-Royce. The 2 new chapters on Culture and Globalisation reflect the contemporary workplace, and the future of HR based on Linda Holbeche's latest research is included in the final chapter. 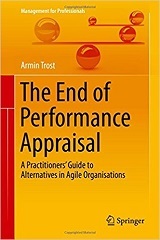 This book demonstrates, in detail, why annual performance appraisals might still work in hierarchical environments, but largely fail in agile ones. The annual performance appraisal is one of the world's most widely used management tools. For many years, it was indeed seen as a pre-requisite for successful leadership and professional management. While most managers and employees have always been sceptical in this respect, those at a strategic level are now also realising it causes more harm than good, and a growing number of leading companies have similarly abolished this approach. Once thought of simply as the place where employee records are kept, today's human resources department has evolved into a manager of human capital. However, HR faces challenges��among them providing necessary services at competitive cost, enhancing productivity, and justifying budgets at a time when outsourcing firms threaten its very existence. Now more than ever, HR needs to position itself as a value-added partner that contributes to the strategic goals of its organization.